hd00:17Young family of attractive mother and little daughter choosing vegetables in supermarket. hd00:15Girl in supermarket selects tomatoes, close-up. Female's hand selects tomatoes in the supermarket. hd00:10Worker separating tomatoes from other unusable remains on a conveyor belt, after being picked by a moving harvester. hd00:27man is processing ripe tomatoes in a cup. hd00:23Girl in supermarket selects tomatoes, close-up. 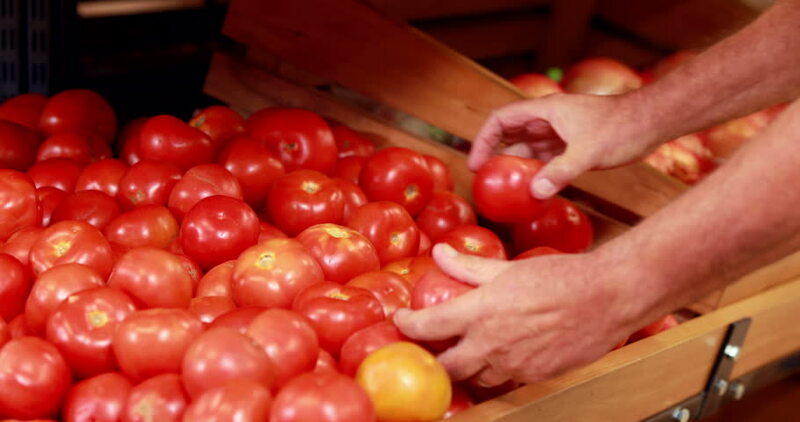 Female's hand selects tomatoes in the supermarket.